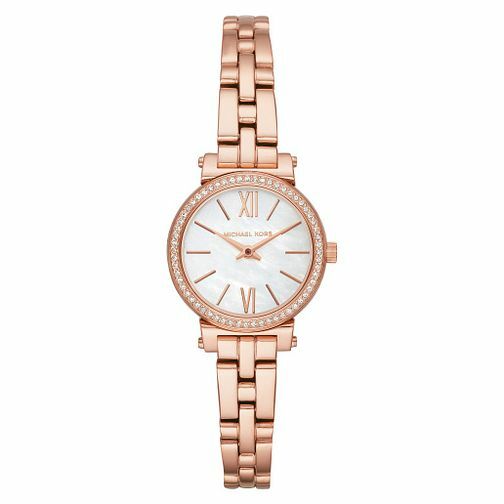 Adorn yourself with petite luxury with Michael Kors Sofie, featuring a slim bracelet and round rose gold toned case. The crystal-set bezel surrounds a gorgeous mother of pearl dial for a style statement that blends both classical and modern sensibility. Michael Kors Sofie Ladies' Rose Gold Tone Bracelet Watch is rated 5.0 out of 5 by 1.